Over 3,000 women from throughout California came together for a full day of learning, networking, and inspiration Professional Business Women of California’s 5th Annual Sacramento Conference on Thursday, Produced by e2k and directed by Executive Vice President, Lorie Murphy, the event featured local and national experts sharing the latest strategies for career advancement, leadership, communication, work/life balance, women’s health, personal finance, entrepreneurship and much more. Attendees also enjoyed a muli-faceted Expo showcasing over 100 local companies and special activity areas specifically directed towards women. 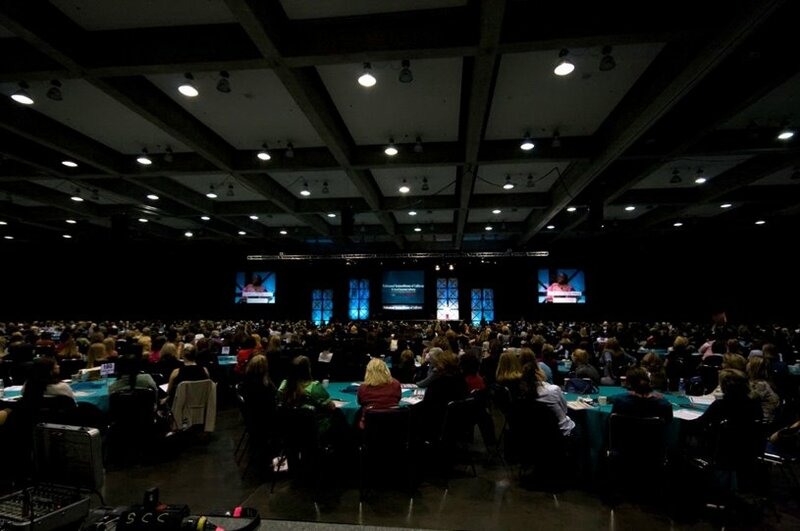 The all-day conference featured speeches by Lisa Ling, correspondent for the Oprah show, National Geographic, and CNN, Jackie Speier, United States Congresswoman, Naomi Tutu, Program Coordinator for the Fisk University Racism in the Global Community, and Lynne Twist, former leader of the Hunger Project and Co-founder Pachamama Alliance. In addition, 2008 Olympian Stephanie Brown-Trafton and two-time Olympic Gold Medalist and WNBA All Star Ruthie Bolton also made appearances.